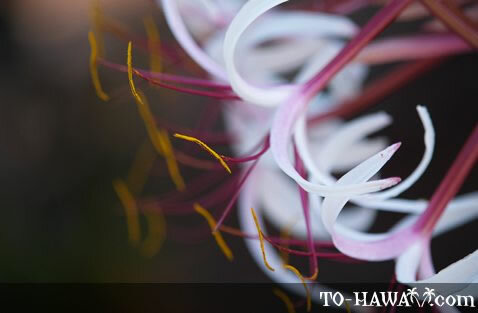 This flower is associated with Hawaiian royalty. Queen Emma was the wife of King Kamehameha IV. The Queen's Hospital in Honolulu was established by Queen Emma. She also had an interest in gardening and had beautiful gardens on her Kauai estate, which is now the site of Allerton Garden. This plant was one of Queen Emma's favorites. It is native to Mauritius and the Seychelles and prefers moist conditions and shade.